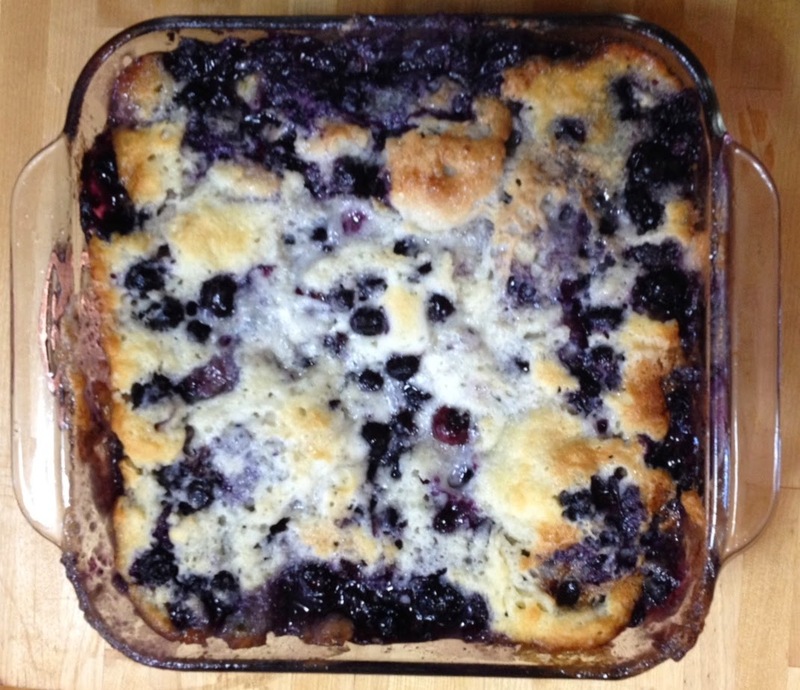 My father-in-law (Bajoo as the kids call him) makes a super yummy, insanely easy cobbler (he picked it up from a roadside peach stand in NC back in the late 70s). You can use what ever fruit is in season (or has been frozen at the peak of freshness). Take 3 cups of fruit and mix with 3/4 cup of sugar. Set aside. Put the butter in a deep baking dish (I use a 9x9 pan that has a lid to store any leftovers) and melt the butter in the oven as it preheats. In a separate bowl, mix remaining 1/2 cup sugar, flour, baking powder and milk together. When the butter is melted, remove from the oven, pour batter on top of butter. Place sugared fruit on top of the batter. Bake for about 45 minutes. Enjoy!